Country Estate tucked away in the Heart of Charlotte County. 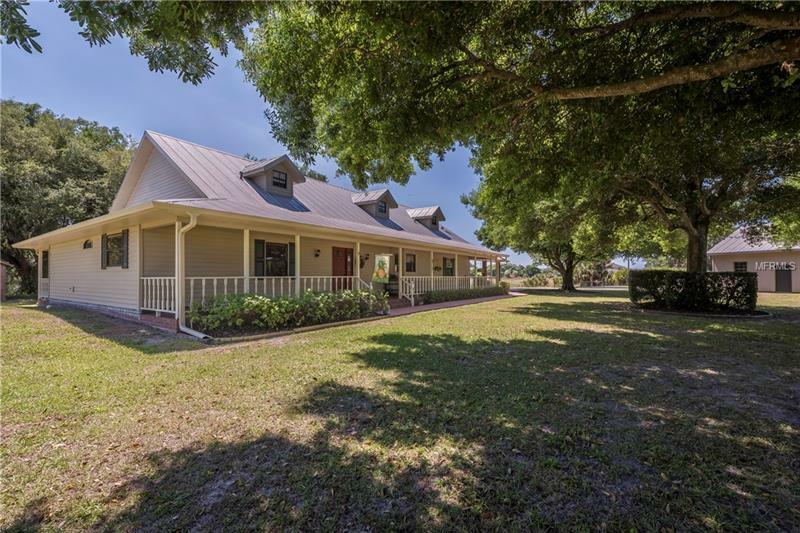 Large Front porch welcomes you as you enter this beautiful 3 Bedroom, 2 Bath Country Home on 12.5 acres, surrounded by majestic oaks with a panoramic view of the neighboring lake. Minutes to Punta Gorda & Port Charlotte shopping, restaurants, and medical. Vaulted ceiling in the Great Room with wood burning fireplace, Large Galley Kitchen with granite counter tops, stainless appliances and double pantry. Master Suite with Fireplace and walk in closet. Master bath with walk in shower and soaking tub. Two Large Guest Bedrooms, one with small office alcove that could easily be a family room or den. Enjoy the Serenity of the screened back porch, the perfect spot for morning coffee watching the birds on the lake. Separate Garage appx 900 sq. Ft and Port-Port, perfect for boat parking. Acreage is fenced and ready for Horses or Cattle. Love the Country Lifestyle but not the driving distance to get somewhere? This home is 3.5 miles to downtown Punta Gorda and about 7 miles to Port Charlotte Towne Center. Minutes to I-75, easy access to commute or to Airports. Punta Gorda and Charlotte County is home to world class fishing, shopping, Golf and all that SW Florida has to offer.